Conjunctions are used to join clauses, phrases, and words together for constructing sentences. Conjunctions make a link between/among words or groups of words to other parts of the sentence and show a relationship between/among them. Alex and Robin are playing together. Alex plays well, but Robin plays better than him. I play cricket, and Robin plays football. When he was sick, I went to see him. 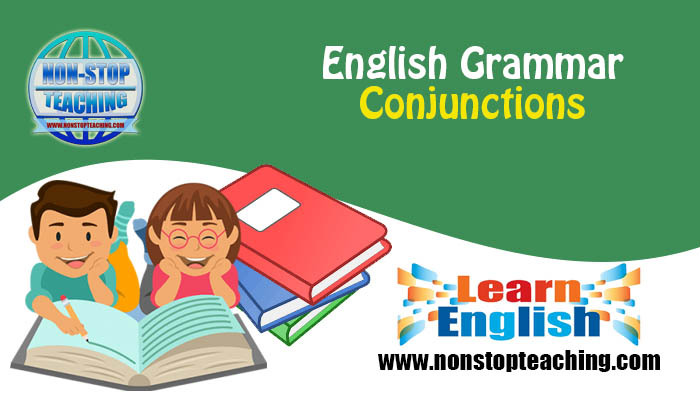 The job of coordinating conjunction is to join two words, phrases, or independent clauses, which are parallel in structure. There are seven coordinating conjunctions which are by far the most common conjunctions: and, but, for, nor, or, so, yet. We went to the stadium and enjoyed a cricket match. Do you want ice cream or chocolate? Correlative conjunction uses a set of words in a parallel sentence structure to show contrast or to compare the equal parts of a sentence. The words of correlative conjunctions have a special connection between them. The correlative conjunctions are not only - but also, either- or, neither - nor, both - and, not - but, whether - or. Neither Alex nor Robin can play baseball. He ate not only the ice cream but also the chocolate. A subordinating conjunction joins elements of an unparallel sentence structure. These elements are usually a dependent clause and an independent clause. After, how, than, when, although, if, that, where, as, in order that, though, which, as much as, inasmuch as, unless, while, because, provided, until, who/whom, before, since, what, whoever/whomever. Before we left home, I had had my breakfast. Provided they come, we can start class on Tuesday. When he was washing my car, I went to the store. Even though the weather was horrible, they still went outside.